Satinder Sartaaj is an Indian singer-songwriter, actor and poet. He first rose to prominence when he appeared on Zee Antakshari Show and gained wider public attention with the release of the hit single Sai. Satinder has performed at venues around the world, and is one among the most popular folk singers to have emerged out of Punjab in the recent years. Significant film credits include the 2017 historical drama The Black Prince. Notable discography includes Cheerey Wala Sartaaj, Rangrez-The Poet of Colors, and Hazaarey Wala Munda. 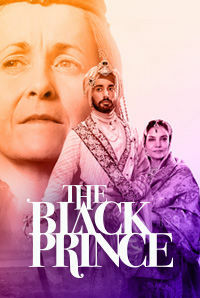 The Black Prince marks the acting debut of popular Punjabi singer-songwriter and poet Satinder Sartaaj.